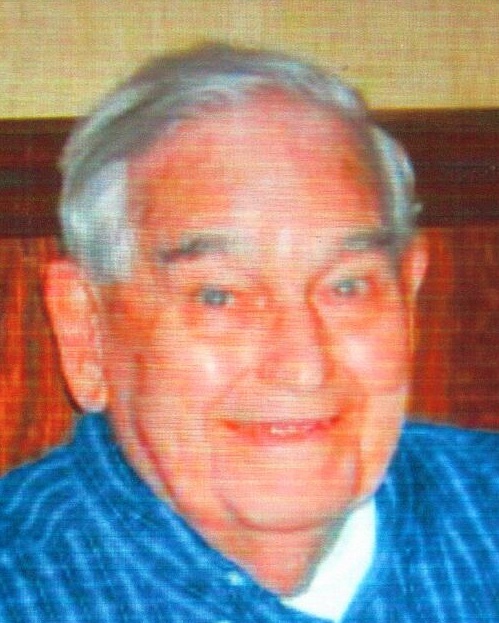 Webster B. Benner, Jr., 92, of Van Wert, passed away Friday, March 30, 2018, at Hearth and Home in Van Wert. Born on May 13, 1925 in Lansdale, Pennsylvania, he was the son of the late Webster Benner and the late Hannah (Brunner) Benner. He married Dorothy R. Brandis on March 1, 1947, in Worcester, Pennsylvania. In addition to his wife, he is survived by his four daughters. Ellen (George) Huey of Zionsville, PA, Barbara (James R.) Early of Van Wert, Dolores Benner of Cridersville Ohio, and Joan (Loren) Bailey of Orlando, FL, eight grandchildren, Annette (Mark) D'Amelio, George Huey, Jr., Wayne Gilbert, Jeffrey (Lori) Huey, Pamela (Darren) Schallert, Brandon (Keri) Early, Stephanie (Mark) Haney, and J. Kyle (Nicole) Early, and 17 great grandchildren. He was preceded in death by three brothers, Robert, Ralph, and Charles, and three sisters, Ruth Yoder, Regina Moyer, and Hannah Bannon, father-in-law Melvin Brandis and mother-in-law Luella (Reed) Brandis, brother-in-law Henry Brandis, and sister-in-law Beatrice Brandis. Webster was a supervisor at Teleflex Corp. and retired in 1987. He enjoyed model electric trains, flea markets, and his family. He loved playing with and teasing his grandchildren and great grandchildren. Funeral Services will be at 10:30 AM Friday, April 6, 2018 at Brickner Funeral Home with Rev. Clark Williman officiating. Burial will follow in Woodland Cemetery. Friends may call at Brickner Funeral Home from 5 - 7 PM Thursday April 5, 2018, and from 9:30 AM to time of Services on Friday. Preferred Memorials are to Hearth and Home or to a Charity of the donor's choice.